One of the most important aspects of the landscape of your home and property are the trees. Whether you have small trees that are still in the beginning stages or fully matured trees you want to do what you can to protect them. That is why most people ensure they are watered and given the right level of nutrients. You also have to have the trees trimmed and pruned along the way to ensure that they are given the best possible chance to grow and reach their potential. 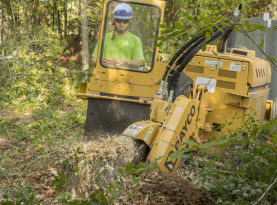 There are many things that you can do to secure the trees on your property as there are always outside influences that can affect the tree for good or bad. These are all things that you cannot avoid or control so it is a good idea on what you need to do if they happen. There are many changes in the weather even within the same season. You want to make sure that your trees are healthy so that if there is bad weather they are best suited to handle it. You also should know what can happen during adverse weather to your trees. Can Trees Have Too Much Rain? : You might be thinking that rain is a good thing especially for plants, trees and flowers but there is a limit. If you experience too much rain in a short amount of time or if you have rain for a long extended time it can be damaging. The trees needs to have water to grow but the ground and the soil can be over saturated. The rain needs to be able to soak into the soil and allow the roots to soak it up. When the rain comes down too heavy in the winter the ground can become too soft. This will cause the roots to lose their grip and the tree can be easily toppled. When the rain comes in the spring when the trees are growing the rain water will soak in the ground and cause the soil to become compacted. This will make it so that the roots are not able to breath and that will cause them to rot. When the roots rot they are not able to let the tree grow and it will no longer be stable. Effect of Wind on Trees: Another type of weather that can be difficult on your trees is the wind. The wind is going to come through no matter where you live but when it is heavy it can cause some damage. If you care for your mature trees properly they will likely stay up against wind. The wind can be strong enough to take a tree down especially if they are already damaged. If you want your trees to get through the wind storm be sure that you care for them throughout the year. sunlight can actually harm trees. Can Trees Be Damaged from Too Much Sunlight? : Just as we can get a sunburn on our skin from too much sun exposure, a tree can get sunscald which can lead to permanent damage and even premature decline. Sunscald can affect tree bark, leaves and even fruit. To avoid sunscald, you can block or reflect sunlight and avoid DIY over-pruning of trees. 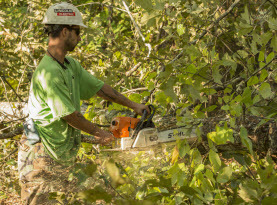 It’s best to hire a professional like Milam Tree Services who are knowledgeable and experienced in tree pruning. The best thing that you can do to prevent your tree from being damaged by adverse weather is to make sure that the trees are cared for. The trees are something that cannot just be planted and forgot about. They need to be treated, cared for, trimmed, pruned and given nutrients to ensure that they are given the best chance to become strong. 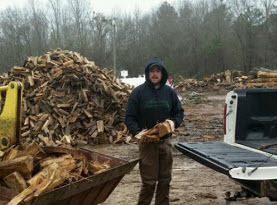 This is why you want to make sure that you use a professional tree care service. 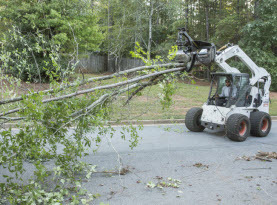 Milam Tree Services can come to your home and care for your trees. Call our office to make an appointment today!